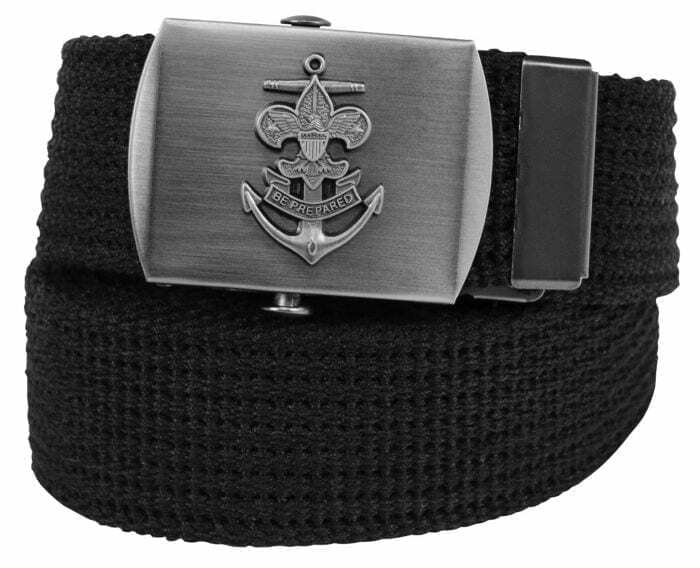 The official Sea Scout belt fits up to a 58 waist and can be cut to fit. Black. Polyester. Metal buckle with nickel finish.